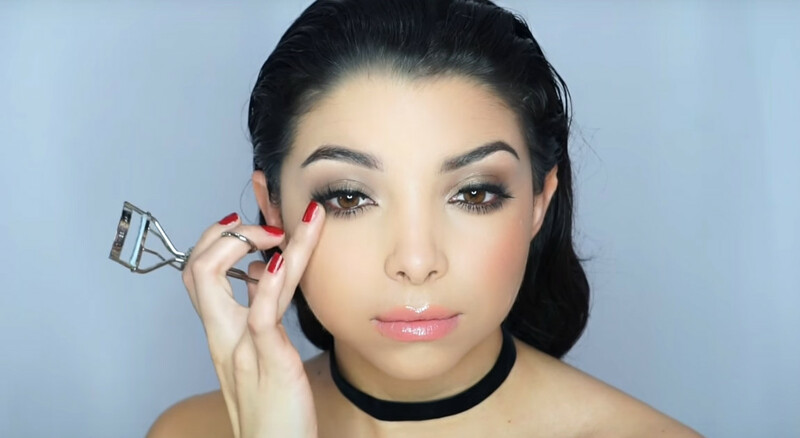 Choosing the right makeup is a must if you care about your looks so if you have brown eyes take a glimpse at the following makeup looks and inspire yourself as they are fabulous and can definitely help enhance your natural beauty! Makeup plays a very important role when it comes to physical appearance as makeup can transform your look completely. The best makeup for you will help enhance your natural beauty and facial features while concealing your flaws, so making sure you choose right is highly important. There are a few aspects which you need to take into account when selecting the right makeup for you and these are: eye color, skin tone, hair color, occasion and personality. If all these aspects are taken into consideration and if the makeup is applied properly, you will most definitely look fabulous. Purple makeup is one of the hottest eyeshadow color you can choose if you want to make your eyes pop. You can select a lavender or a deep purple eyeshadow depending on personal preference and occasion. The eyelashes can be coated using a black mascara to help complete the look. Create a perfect looking skin using a concealer and foundation for a natural flawless look and enhance your lips with a lip colored or clear lip gloss. Rihanna adopted a purple eye makeup look and she managed to show just how much this makeup can help enhance your beauty!